Corporate events play a critical role in reinforcing your company image, building your reputation, and driving employee and client engagement. We understand that corporate events are highly crucial for every company and corporate event planning needs specialized attention as it is no cake walk to organize one. Therefore our team of experienced professional corporate party planners uses its skill to turn innovative corporate event ideas into successful corporate events for groups of 150 and more. Whether you’re planning an annual meeting, off-site conference, team-building event, client appreciation dinner, or a corporate function of any nature, we will work with you to create the ideal room design and menu for your event and give you high class corporate event ideas. We can also provide meeting essentials such as complimentary wifi, podiums, and staging, if required. On the day of the event, our staff will provide the superior service and support you need to ensure your event runs smoothly from start to finish. 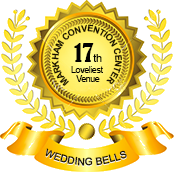 Markham Convention Centre in Toronto, Ontario is committed to providing our clients with top quality smooth services which will make the event not only classy but successful too. You will surely like the Markham’s party theme ideas.